Live music 4-10pm with Terry Hardesty and the Last Outlaws, Danbert Nobacon & the Axis of Dissent, Sky Kyss, Danville, Meghan Colleen and her fabulous Back Up Band, Laura Love & the Family Dog, Dan Mahre of Inland Folk and more. 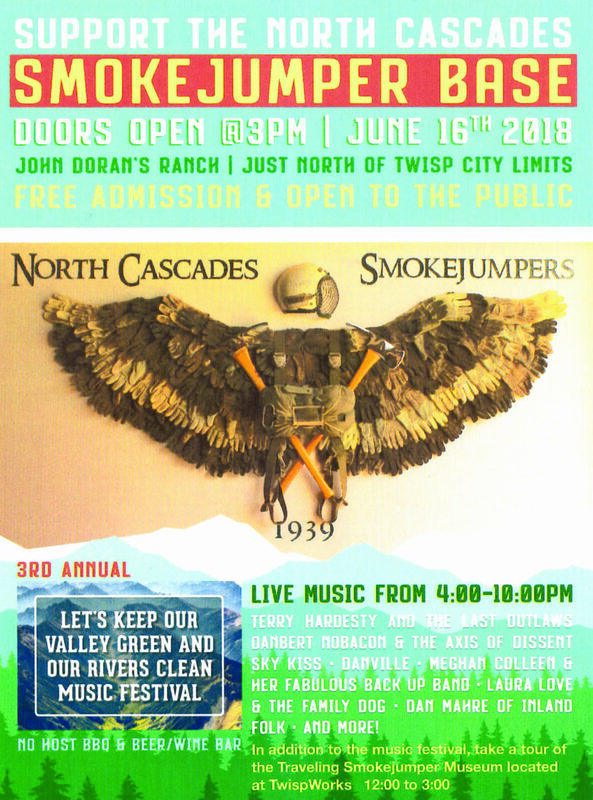 In addition to the music festival, take a tour of the Traveling Smokejumper Museum located at TwispWorks nooon-3pm. At the John Doran Ranch just north of Twisp City Limits. Free admission and open to public.